Abstract: What made the War of the League (1585-1598) unique was its length, its stakes, and the intensity of foreign involvement in it. 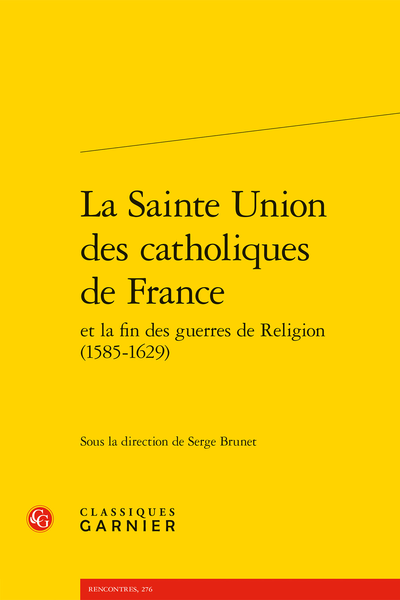 This work investigates the creation of the Sainte Union by provincial Catholics, the ties they forged with foreigners, and the way League members later became dévots during the reign of Louis XIII. Une religiosité influencée par l’Espagne chez les ligueurs puis dévots ?